Do you snore or have a partner who keeps you awake with their snoring? Did you know that snoring usually points to an obstruction in the breathing process? It can either be no big deal, where it’s simply a matter of having a narrow airway that produces sound when you’re asleep, or it can point to a more serious problem like Obstructive Sleep Apnea (OSA). Either way, if you or a loved one is a chronic snorer, you might want to get it checked out – you’re better off being safe than sorry! If you have been diagnosed with obstructive sleep apnea and currently wearing a CPAP, your nights might continue to be uncomfortable and unrestful. Obstructive Sleep Apnea (OSA) is a breathing disorder that is debilitating and serious in nature. This occurs when relaxed muscles cause tissue in the back of the throat, nose, and mouth to block the airways, which prevents breathing for up to 10 seconds or more. The brain then reacts to this by jolting the body slightly awake and interrupting your sleep to allow you to breathe. But over the course of the night, these interruptions can be constant, which will inevitably prevent a person from reaching that deep REM level of sleep that’s so important for proper functioning. This can also lead to other serious conditions over time. OSA is most commonly treated using a CPAP machine, which opens the airways, allowing proper breathing to occur using a mask that covers the mouth and nose while sleeping. This can however be bulky and uncomfortable for patients, which leads us to the second method of treatment: Oral Appliance Therapy. Oral Appliance Therapy utilizes a dental appliance or retainer that is used to reposition the jaw slightly forward, which also allows the airways to remain open while sleeping. Since this appliance can be customized for each patient, they are a much more comfortable alternative to the CPAP machine. These appliances are state of the art appliances which aren’t a hindrance to your comfort, as old appliances were. Since the appliance gently repositions the jaw into its proper resting place, there is no risk of creating discomfort of TMJ pain while you wear it. Dr. Whitsitt has special training in dealing with sleep apnea and can fit you with a dental appliance that prevents snoring and problems associated with sleep apnea. It's easy to wear and is so small it fits in the palm of your hand. 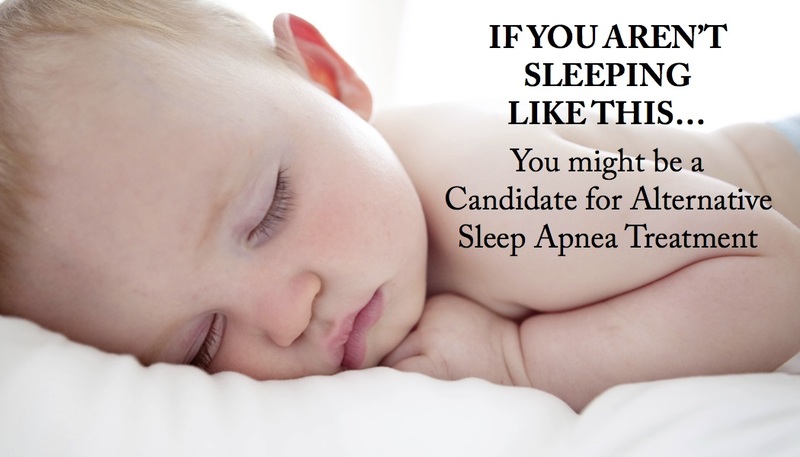 Call us about our dental sleep apnea treatment at (386) 239-7600 today and sleep like a baby tonight!